What Is the Value of My Race Discrimination Lawsuit? Have you found that you are not treated fairly in your place of work? Does your employer treat you different than other employees because you are of a different race? 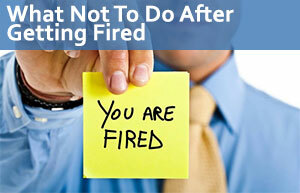 Have you been demoted or removed from your position to put someone less qualified of the accepted race in your place? Do you feel like you have been racially discriminated against at any time? If you have been the victim of racial discrimination in the workplace, you might have thought about taking legal action against your employer. If you have given legal action thorough thought, you likely have wondered about the possible outcome of your lawsuit. Our law firm is approached with many questions regarding racial discrimination in the workplace; however, the most common question asked is how much is a racial discrimination case worth? In the following sections, you will find the answer to that question above, as well as answers to many other questions that you might have. Although we expect you to find the sections below informative, you should not use the details provided to substitute a consultation with a racial discrimination attorney. Only an experienced attorney can evaluate your case and give you all the information you need to start a legal process. California Labor Law Employment Attorneys Group is a law firm focused on helping the victims of racial discrimination exercise their rights. You must contact us as soon as possible for all the information you need concerning your case. $2 million—the plaintiff experienced illegal firing due to her race. $1.5 million—after a change in the employer, the plaintiff experienced racial discrimination from the new boss, who eventually terminated the plaintiff. $1.5 million—a state employee was terminated because of her race. $700,000—a woman experienced racial discrimination along with age and gender discrimination. The plaintiff was subjected to unequal pay, frequent discrimination, and was eventually terminated. $325,000—a woman was the racially discriminated against by her supervisor, who eventually terminated her. $180,000—a man was the victim of both racial discrimination and age discrimination. The plaintiff was terminated. As you can see, the examples of past settlements and verdicts offer varied case values. Because the verdict or settlement amount of a racial discrimination lawsuit can vary based on specific details, it is essential that victims of workplace racial discrimination immediately seek legal assistance. Only an experienced attorney can evaluate your case and give you information about the amount you can receive as compensation for being racially discriminated in your place of work. Lost wages—if the discrimination affected the plaintiff’s ability to earn his or her wages, they will likely be compensated for the wages that were lost. For example, if the employer failed to allow the employee to work jobs that guaranteed commission, demoted the employee to a lower paying position, or terminated the employee, the plaintiff could be eligible to receive compensation for the wages he or she would have earned if there was no racial discrimination. Lost benefits—if the discrimination affected the plaintiff’s benefits—like health insurance, stocks, or bonuses—the plaintiff might be eligible to receive compensation. Emotional and mental distress—if the racial discrimination left the plaintiff dealing with mental and emotional distress, he or she might be eligible to receive compensation. To receive compensation for emotional and mental distress, the plaintiff will likely be subjected to the evaluation of a professional. Punitive damages—if the racial discrimination is found to be willful in part of the employer, there will likely be compensation for punitive damages. Punitive damages are primarily designed to punish the employer and to ensure that a similar incident does not occur in the future. The types of compensation listed above might or might not apply to your lawsuit. The compensation that you are eligible to receive can affect your payout; therefore, it is important for you to contact an attorney at California Labor Law Employment Attorneys Group. Our attorneys will evaluate every aspect of your case and will explain what compensation you are eligible to receive. California Employment Attorneys Group is a law firm dedicated to helping all employees exercise their rights in the workplace. If you were the victim of racial discrimination in any way, you must seek legal assistance. Did your boss call you a racially derogatory term? Does your boss treat you differently than other employees because of your race? You must not allow the racial discrimination to continue—contact California Labor Law Employment Attorneys Group as soon as possible to get all the information you need to start your lawsuit. Our law firm will not rest until our attorneys win your lawsuit against your employer. California Employment Attorneys Group understands how difficult it is for some people to decide to file a lawsuit. Many people associate taking legal action with immeasurable amounts of stress and expensive legal fees. However, California Labor Law Employment Attorneys Group has done everything possible to move far from these associations. Instead, our law firm dedicates itself to making our legal services easily accessible. How does our law firm do that? California Labor Law Employment Attorneys Group offers free consultations and free second opinions. During your free consultation, you should expect our experienced racial discrimination attorneys to answer all of your questions and address all of your concerns. Our attorneys will also give you all the information you need to understand the average settlement for a racial discrimination case. If you already have an attorney with another law firm, you might be interested in receiving a free second opinion from one of our skilled racial discrimination attorneys. Are you unsure about needing a second opinion? Before you decide to contact our law firm, you should reflect on your experience with your current attorney. Did you feel like your attorney was rushing through your case at any time? Were you left with more questions than answers after consulting with your attorney? Do you think that your attorney left our important details about your case? Unfortunately, many attorneys do not prioritize giving their clients quality legal service. Instead, they prioritize the number of cases and clients they could see in a day. Although they might believe that they are increasing their productivity, they are really providing quick, mediocre legal assistance. When attorneys focus on seeing as many cases as possible in a day, they end up rushing through important consultations. Rushing, unfortunately, leads to attorneys overlooking and neglecting key details that can affect the outcome of a case. Do you want to risk the outcome of your case on the incompetence of your current attorney? If you care about winning your racial discrimination lawsuit against your employer, you likely do not want to take any risks that might negatively affect your lawsuit. You must not hesitate to seek a second opinion from our attorneys at California Labor Law Employment Attorneys Group. You need to take action as soon as possible—contact our law firm to schedule a free consultation or a free second opinion at your earliest convenience. California Employment Attorneys Group understands that the victims of racial discrimination sometimes hesitate to take legal action. Besides our law firm making our legal services accessible to all through our free consultations and free second opinions, our law firm also provides a Zero-Fee guarantee. Our Zero-Fee guarantee ensures that our clients will never have to worry about paying any upfront fees. Additionally, our law firm is strictly based on contingency, so clients will not have to pay anything until our racial discrimination attorneys win their lawsuits against the employers. You must contact California Labor Law Employment Attorneys Group as soon as possible to get all the information you need to start your legal process.